Similar findings on the value of feeding whey permeate for nursery pig performance were reported at the same meeting from a separate study lead by Emily Scholtz (Pipestone Grow Finish, Minnesota)**. In their research, 1,080 pigs weaned at 21 days were fed graded levels of whey permeate during phases 1 to 3 in the nursery. Dietary permeate (equivalent lactose) levels ranged from 0% (0%) – 30 % (24%). Average daily weight gain increased linearly with increasing dietary lactose level. It their analysis, margin over feed costs was optimal ($16,410) for a 1,000 head barn, with a feeding programs of 20% lactose (Phase 1 - 0-7 days), 14% lactose (Phase 2, 7-14 days), 5% lactose (Phase 3- 14-20 days) and 0% lactose (Phase 4). Based on these two trials it is estimated that the total recommended whey permeate intake would be 1.1 – 1.275 kg in the nursery period. In another independent study (Hubbard Feeds, Minnesota),*** 4,212 pigs were fed various levels of lactose for the first 21 days postweaning. High lactose feed resulted in a 4.2 pound positive difference in weight gain. 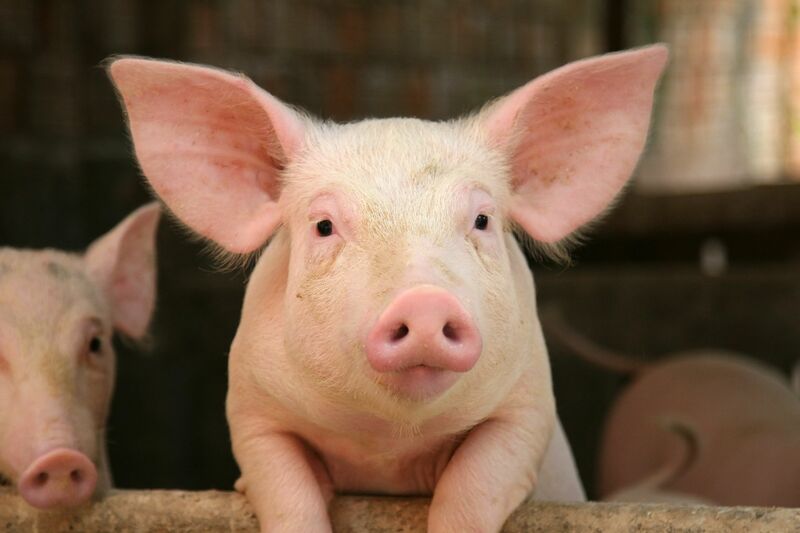 Pigs fed the lower lactose feed level had a 34% increase in need for antibiotic treatment. In other words, feeding higher levels of lactose resulted in greater pig weight gain and better health compared to lower lactose feed. Approximately 75-80% of all US permeate produced annually is fed to pigs. The results of these recent studies reconfirm the important role that the US permeate industry continues to have in providing this valuable feed component for the health and productive growth of weaned piglets using today’s pig production practices. Future studies (ongoing) will lead to even greater understanding of the role of permeate in pig production. Additional details of the work conducted by NC State and Pipestone will be presented at the 2019 ADPI/ABI Annual Conference on Monday, May 5 during the Industry Briefing on Permeate at 2:30 pm. For further questions about this research, contact Dr. Phil Tong, Technology Consultant, American Dairy Products Institute (ptong@calpoly.edu). ***Pietig, J. and Hansen, S. 2019. Feeding lactose in nursery diets. National Hog Farmer, February, 2019, p.34.